Get A Stunning Straight Smile Without Metal Braces Using Invisalign Clear Braces! Invisalign can give you a stunning smile without using metal braces. Kraus Orthodontics is pleased to offer Invisalign treatments to for adults and teens in the Allen, Texas area. 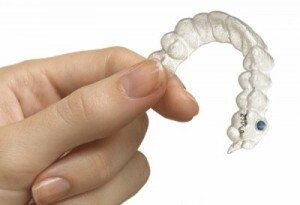 With Invisalign, you will be given a series of plastic aligners to wear. After using 3D imaging software to make a mold of your teeth, your custom aligners will be made specifically for you. The aligners gradually shift your teeth into place as you wear them, gently pressing against your teeth to create your beautiful new smile. The aligners will need to be replaced every two weeks to ensure good progress. You will be able to see how the aligners are working when you switch them. You can even keep a photo journal of your progress! Comfort | Invisalign uses clear silicone aligners designed especially to fit your teeth. The smooth aligners are comfortable and functional. Removable Braces | Because the aligners are removable, you won’t have to cut out the foods you enjoy! Before you eat or drink, take your aligners out and simply put them back in when you’re finished. The braces also make brushing and flossing easier. All you have to do is remove the aligners and clean instead of trying to get floss around metal braces. Invisible Braces | Many patients love Invisalign because they are essentially invisible. Most people won’t be able to tell you are wearing aligners, and you won’t need to feel self-conscious about people staring at your teeth while you are speaking. Faster Treatment | Invisalign usually works faster than traditional braces, and you will visit our office much less. This means you save time and money! Don’t put off braces because you’re worried about your appearance. Call us today to talk to Dr. Kraus and ask any questions you have about how Invisalign works. We are happy to talk to you and help you accomplish the stunning smile you are looking forward too! Call us today or contact us here.